Let’s be honest, shall we? Living like a cloistered monk for four years as a cadet at the U.S. Air Force Academy isn’t for everyone. Fortunately, “The Zoo” isn’t the only place to get an Air Force commission. The largest commissioning source the USAF is the Air Force Reserve Officer Training Corps (AFROTC). AFROTC offers a 3-4 year program at over 1,100 college and university campuses across the country. While some college-bound teenagers place a high priority on the social life offered at a civilian school, the real advantage of attending AFROTC are the tremendous degree opportunities available at universities like Northwestern and Harvard. 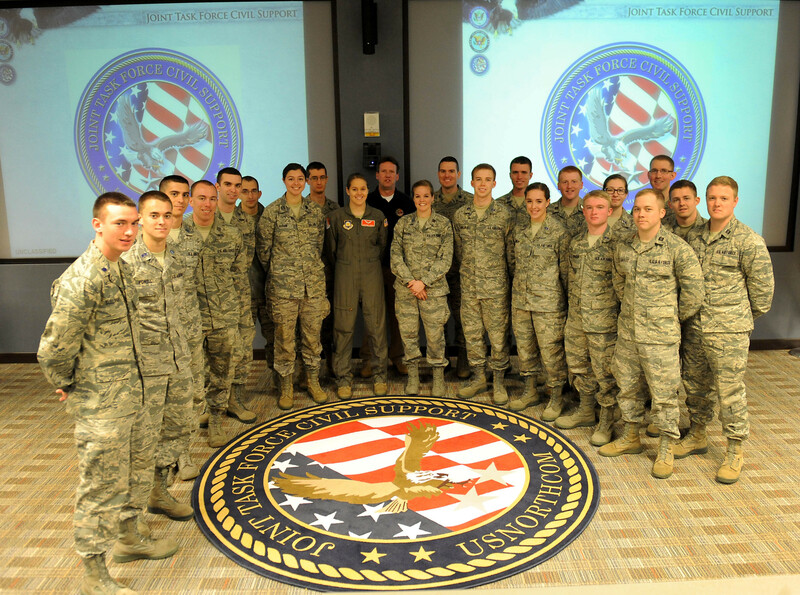 Each AFROTC Detachment is led by a staff of active duty Air Force officers and NCOs. Not each of the 1,100+ schools has its own Detachment. One school will have an AFROTC Det that hosts students from neighboring schools via a “Cross-Town” agreement. For example, the Illinois Institute of Technology is home to AFROTC Det. 195. Cadets attending any of the 17 “Cross-Town” schools (including Northwestern, Loyola and Lewis universities) in the Chicagoland area actually take AFROTC classes at IIT. 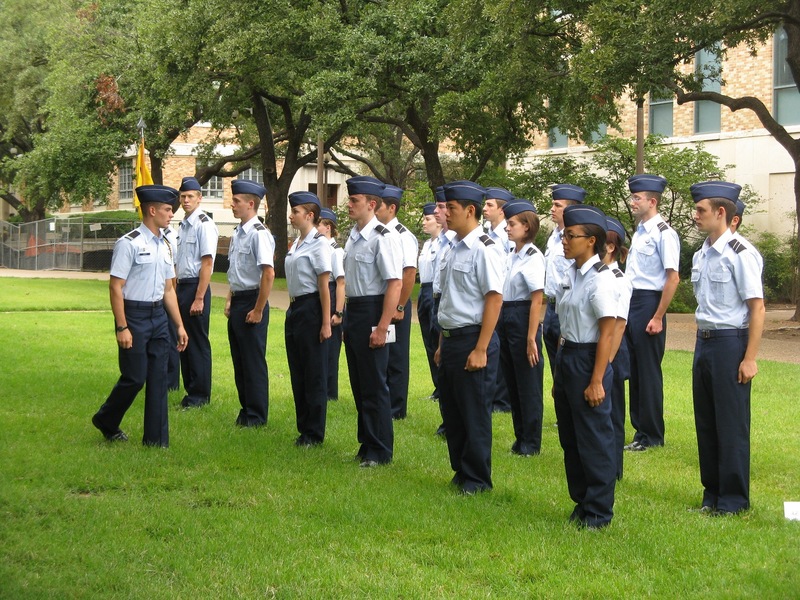 AFROTC also offers substantial scholarships for most of its cadets. For those applying right out of High School, there are 3 or 4-year scholarships available. These scholarships come in three different varieties that cover between $9,000 up to full tuition each semester. One, two, or three-year scholarships are also available for those interested in AFROTC and already enrolled at the institution. The scholarships also cover fees, books and include a monthly living stipend that starts at $300 for freshman and tops out at $500 for seniors. The scholarships are offered based on a specific major. Of the 1,000 3 and 4-year AFROTC scholarships this year, 80% were for technical degrees (math, science or engineering). It is important to note that if a cadet on scholarship changes their major, there is a good chance that they will lose their scholarship. While there is no requirement to be on scholarship, there are some other great financial benefits that come with being enrolled in AFROTC. Living in Illinois myself, I’m very familiar with the AFROTC Detachments here in the Land of Lincoln. So let’s look at couple of the good deals available at IIT’s Det 195. Each AFROTC Detachment commander has 10 Illinois state school tuition waivers at his or her disposal. Commanders can select non-scholarship cadets at their discretion for this wavier and bam–free school. Those cadets enrolled at IIT and Lewis University get free room and board while cadets at Loyola University get a $3,500 on campus housing grant. This year tuition at IIT is $19,987 per semester. Factoring in books, fees, room and board the cost per semester comes in at more than $26,000. That makes the tab for a 4-year degree at IIT more than $200,000. The cost for an AFROTC cadet on a full Type 1 scholarship with free room and board at IIT is $0. Now that’s bargain no matter how you look at it! During the school year cadets typically take one AFROTC class per semester and attend training one afternoon per week. The weekly training is known as Leadership Laboratory. During Leadership Lab, cadets spend two hours or so learning Air Force customs and courtesies while also honing their marching skills. During sophomore year, cadets apply for the Professional Officers Course (POC). Cadets are selected for the POC based on their GPA, Air Force Officer Qualifying Test (AFOQT) score and performance in Leadership Lab. 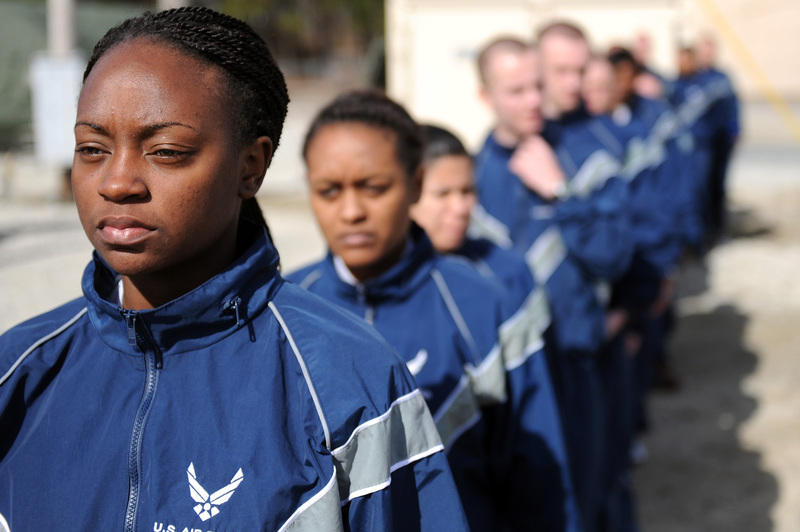 Selection for POC is required to continue in the AFROTC program during junior and senior year. 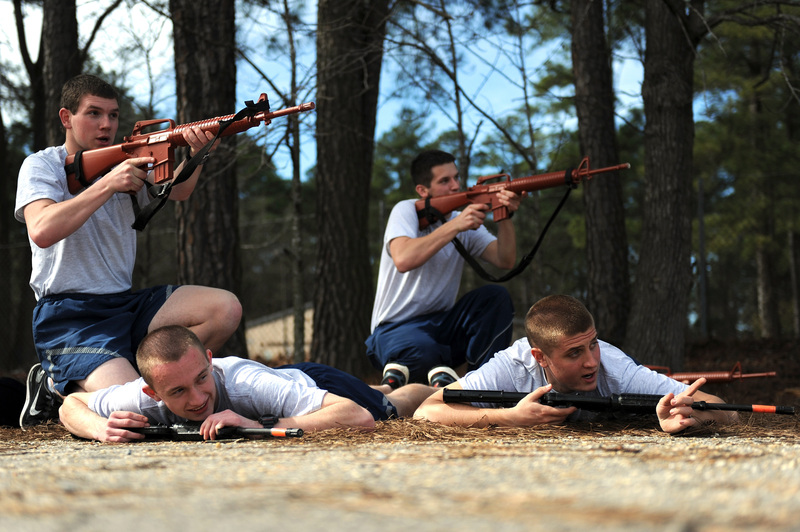 Those selected for POC the summer after a cadet’s sophomore year, attend Field Training. Field Training offers training as both a follower and as a leader with an emphasis on physical conditioning, weapons training and survival training. Pass the Air Force Officer Qualifying Test (AFOQT) with a qualifying score. Those cadets categorized for pilot training then attend Air Force Initial Flight Screening (IFS) in Pueblo, CO the summer after their junior year. Upon completing their bachelor’s degree and all required AFROTC training, cadets receive their commission as Second Lieutenants in the Air Force. Approximately 400 AFROTC cadets receive SUPT slots each year. There is no difference between those who attend USAFA and AFROTC once they pin on their gold 2LT bars. There are some important differences in the SUPT selection process that I’d like to emphasize. In contrast with cadets at the U.S. Air Force Academy, AFROTC cadets must take both the AFOQT and TBAS to compete for a pilot slot. Having a Private Pilot’s Licensee has no bearing on wether or not a USAFA cadet has receives a SUPT slot. For the AFROTC cadets, having a Private Pilot’s License directly influences their into their pilot categorization score. While the number of cadets that are commissioned from the Air Force Academy is set by congress and holds fairly steady year to year, AFROTC is more directly affected by Air Force manning changes. AFROTC cadets compete with a larger pool of cadets for approximately the same number of SUPT slots when compared to USAFA cadets. No matter how you slice it, AFROTC offers some phenomenal opportunities! Coming up in part 5, we’ll finish up our look at Air Force commissioning sources to include Officer Training School, opportunities in the Air National Guard, Air Force Reserve, and an oft overlooked path to an Air Force cockpit–the United States Merchant Marine Academy. Stay tuned! 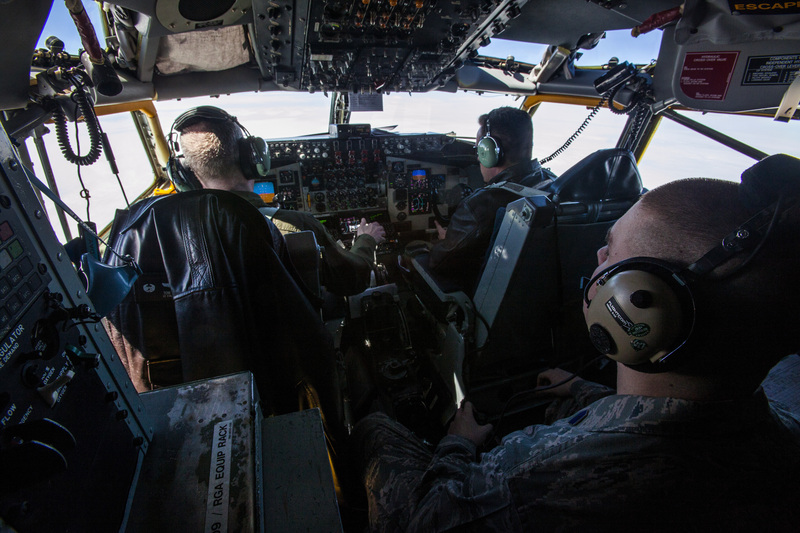 Chris Korger is a former Air Force instructor pilot and has logged over 3,500 hours flying the Lockheed-Martin C-130 Hercules both on active duty and as a member of the Air National Guard. Chris has flown tactical airlift missions on every continent including Antarctica and is a veteran of more than 300 combat sorties over Bosnia, Afghanistan, Iraq and the Horn of Africa. He has also served as an admissions officer for the U.S. Air Force Academy in Colorado Springs. Chris is currently a Boeing 737 Captain for a major airline. The Pilot Training Machine Part II: A Day In The Life….